Today is quite different here in New England than it was two weeks ago when we had that huge snow storm. It was actually warm and sunny when we went out to watch our youngest play her last soccer game of the season. Strange weather, but you know what they say about weather in New England...if you don't like it, just wait a minute! 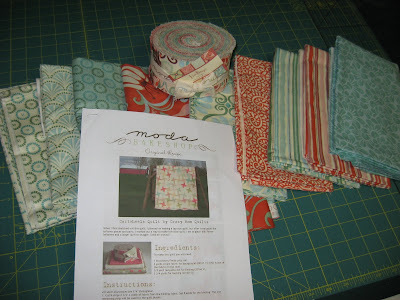 I was lucky enough to win a Fandango jelly roll in a giveaway a while back, and then I found some cuts of Fandango yardage on clearance, and then I discovered this fun pattern over at the bake shop and that was that! 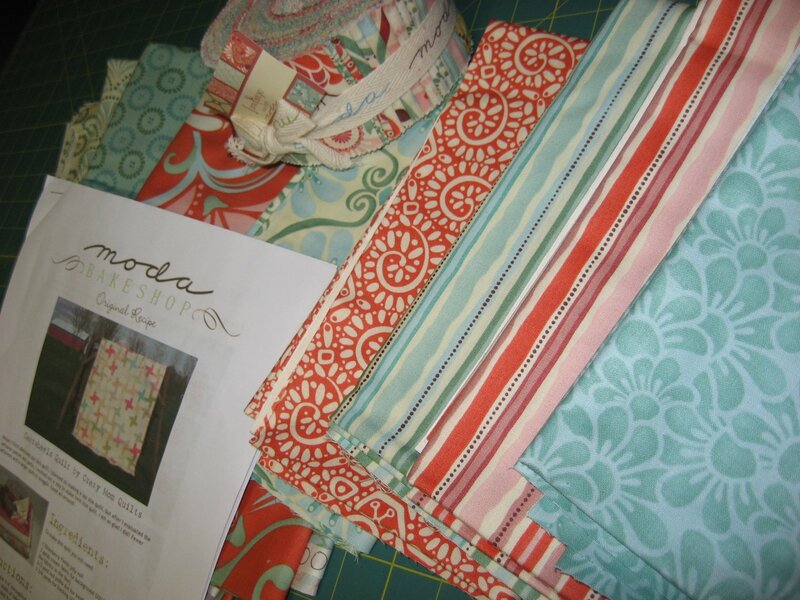 Most of the yardage will be used for a pieced back to this quilt, but I will save out one of them for the binding. I haven't decided which one yet. Laying out all the strips is so much fun. 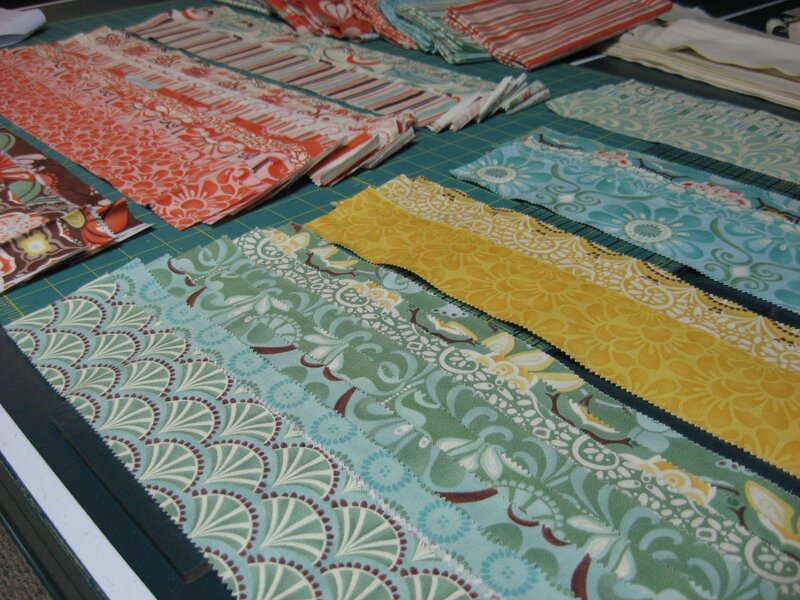 I love to see each of the fabrics and discover how many prints there are in each color family and if there are any repeats. As far as I could tell, each strip in this Fandango jelly roll was different! 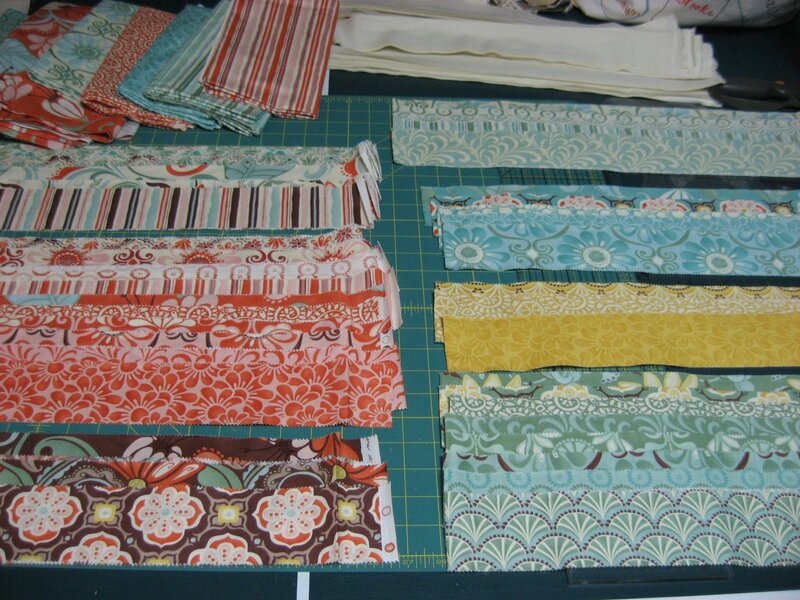 That's a lot of fabric designs! Since taking these pictures, I have actually completed all the blocks and laid them out so next time I'll show pictures of my progress to date. If you haven't signed up for my two giveaways yet, you might want to go HERE and HERE to do that. Make sure you follow the rules in each one so your entries will count! I just love the fabtics that you chose! Lovely fabric - I am sure this is going to be a really neat quilt.